All Drift plans have the ability to connect a calendar and have people schedule meetings with you! However, there are a few important distinctions. 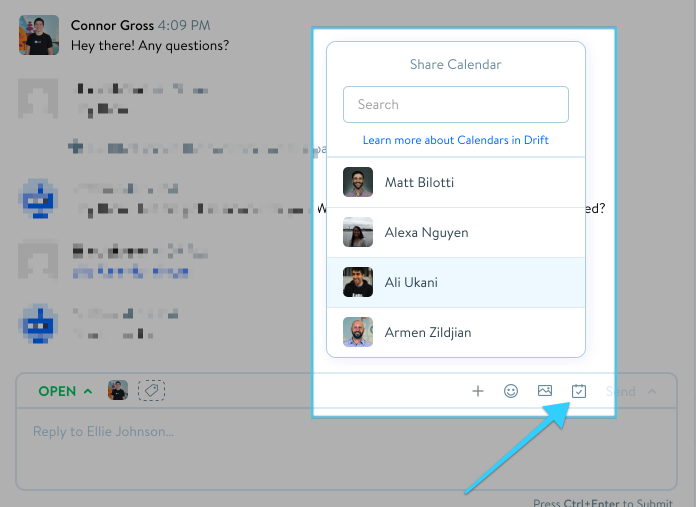 If you are on our Free plan, you can have people schedule meetings with you on your Drift Profile! 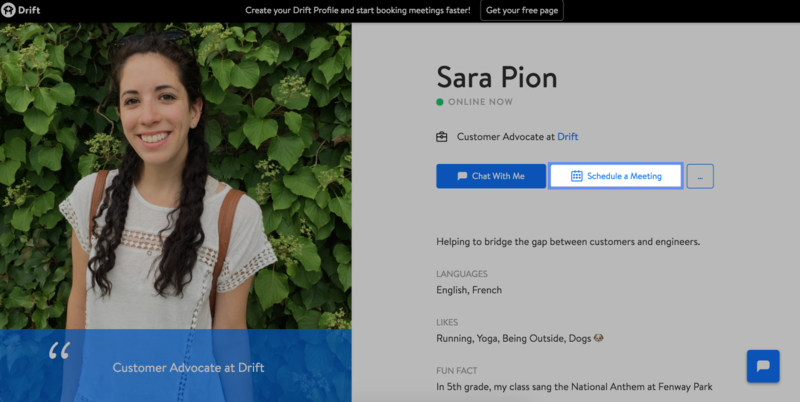 Your Drift profile is associated with your Drift account and works like an online business card! You get your own personalized link that you can add to your email signature that directs people to chat or schedule a meeting with you! Learn more about the advanced profile features here! If you find yourself scheduling a lot through your email, you can also use our chrome extension to easily share your calendar in one click. On the Standard plan, you also have the ability for users to schedule meetings with you from your Drift Profile. But you get more control over your calendar, so you can spend your time where you need to using Meeting Types. Meeting Types let you create custom meeting links with different durations, locations, and names. You can also add a calendar in any conversation while you are chatting. So you can elevate from chatting to booking a demo in a single step! 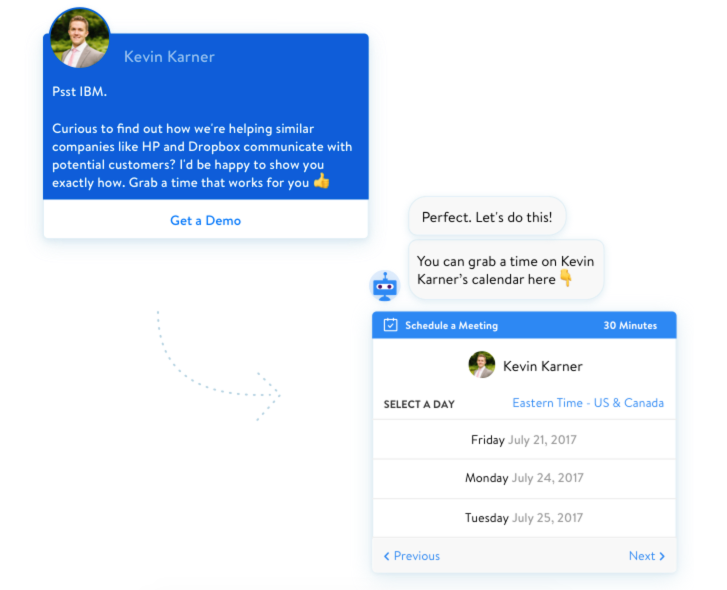 On the Premium (formerly Company) plan, you still have the ability for users to schedule meetings with you from your profile. However, the scheduling process can be totally automated on this plan. Adding a CTA to Playbooks or using the Bot to qualify leads and then immediately schedule meetings with the correct person.